Jan.2004 class photograph sent in by Greta Baxter. ( Sadie Fagan's class photograph. 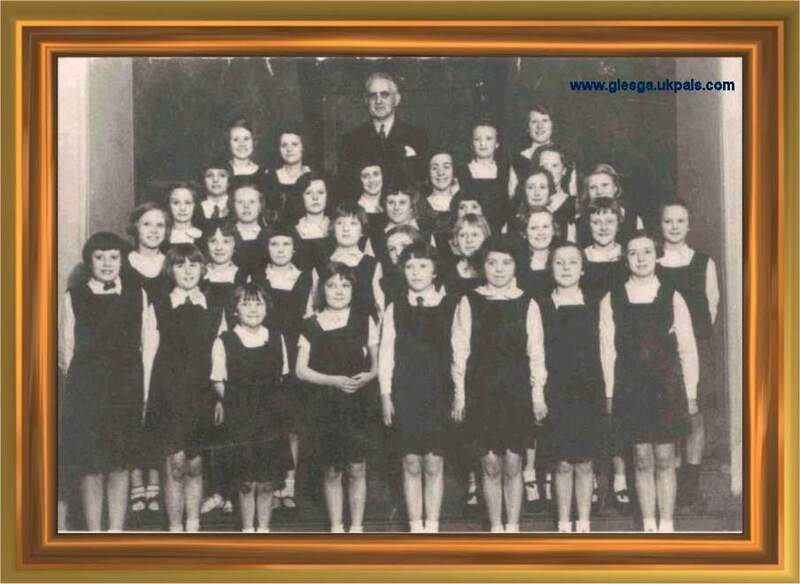 Does anyone from Glasgow east-end recognize this photograph taken cc1936, Rumford St. School. Jessie Gilmour, Jemima Sloan, Jean Payne, Margret Evans and Jane Anderson. Our choir received second prize in the competition in Usherhall, Edinburgh. Does anyone see themselves in this photo? "Hello, I would like this photo added to your website, .................. Thank You; Greta Baxter"